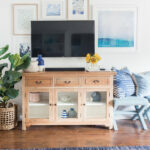 I think a common struggle among homeowners and renters alike is creating a space that represents YOU. One that makes you happy, that makes you feel at home! Often times renters have the added struggle of limitations of things that are permanent fixtures. Add that to the fact that it’s usually a temporary living situation, spending a bunch of money at a place that isn’t your own doesn’t feel like the best idea either. Apartment living usually includes things like lackluster painted walls, ugly carpet, or limited natural light. 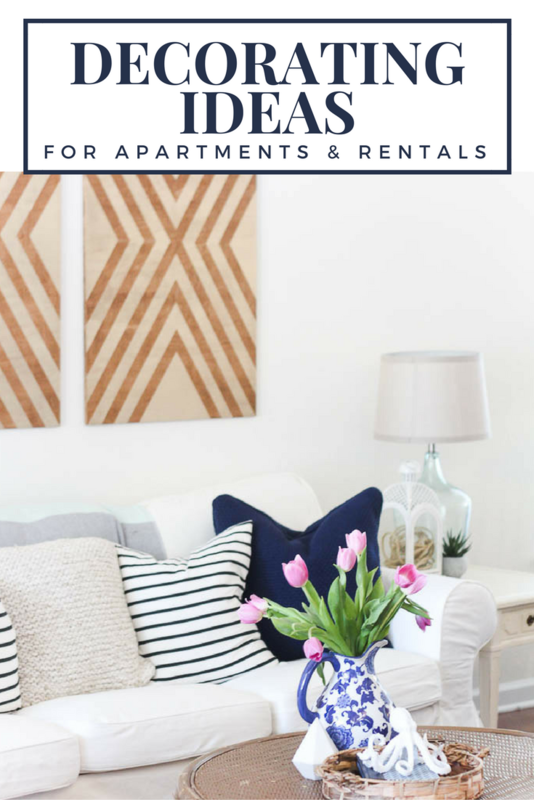 As a self-proclaimed serial renter, I look at these limitations as challenges and look for unique apartment decorating ideas that work for any rental space. 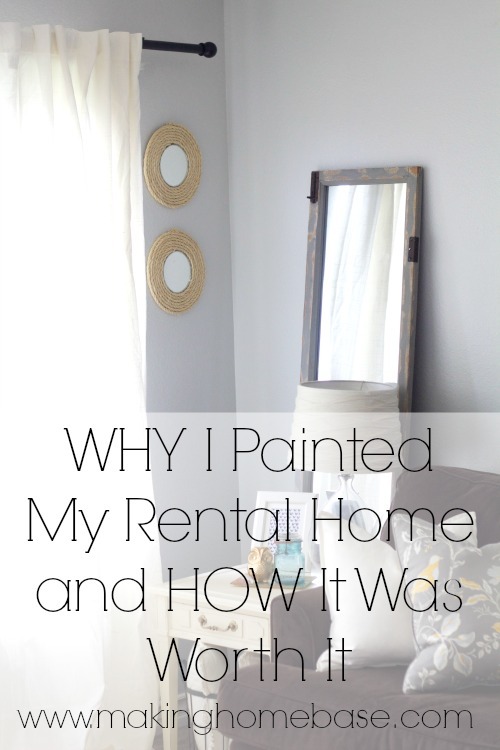 I’d love to share decorating ideas that will spruce up a rental and make it feel more like home. Hanging things on the walls is my number one way to make any place feel more homey. Don’t be afraid to put nails in the walls, that’s what spackling is for. Hanging your favorite photos of your family or places you’ve been allows you to tell a story, bringing an element of you to the space. Putting up pretty wall art of your own also allows you to exhibit your own personal decorating style. 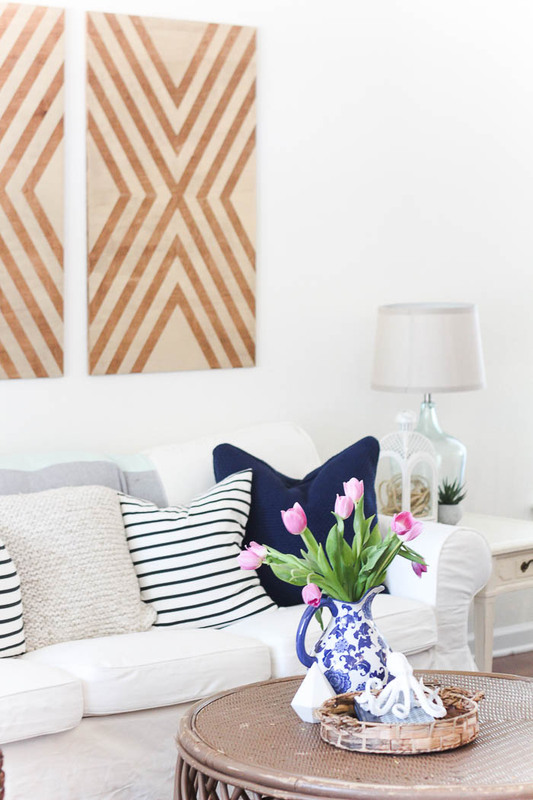 DIY wall art, like this oversized wall art, is even better – art that you create is the perfect addition to any space, especially in a rental. Apartment decorating ideas don’t usually include painting but because you are in a rental doesn’t mean that painting is totally out of the question. Many places now allow renters to paint with the stipulation that it must be painted back to the original color. It may be worth it to paint one room or even one wall. If you are going to be in your home for a few years it can be a great investment of your time and money. Be sure to stick with colors that aren’t too dark and be careful not to spend a bundle on the paint or supplies! Even if you can’t paint, consider temporary wall treatments on an accent wall or for a whole room. 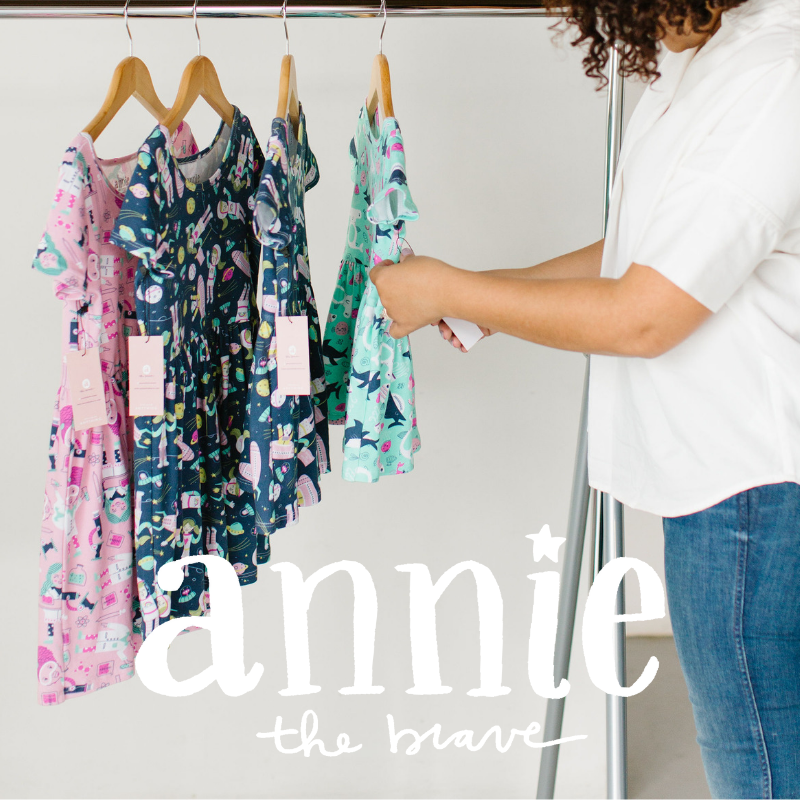 You can get vinyl decals, removable wallpaper [here’s my favorite sources], or even fabric for walls. Vinyl decals come in a variety of options like polka dots and stripes. 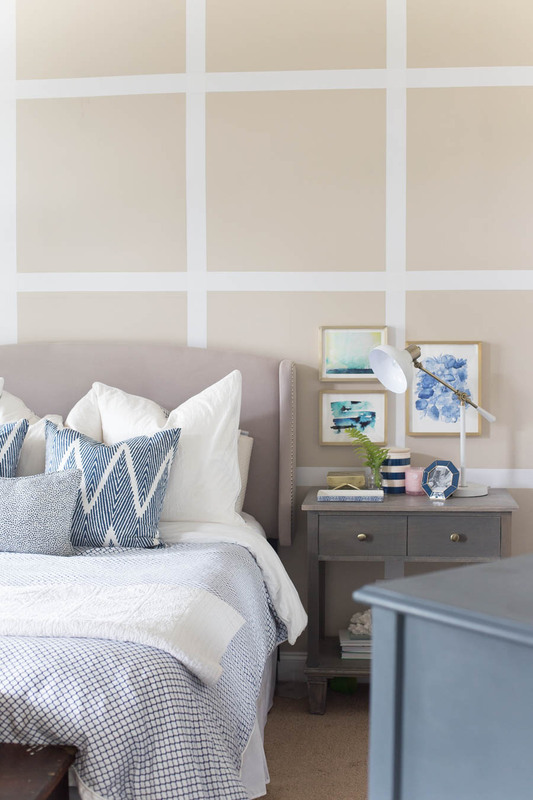 Get creative with the stripes, like I did here to create a grid wall. 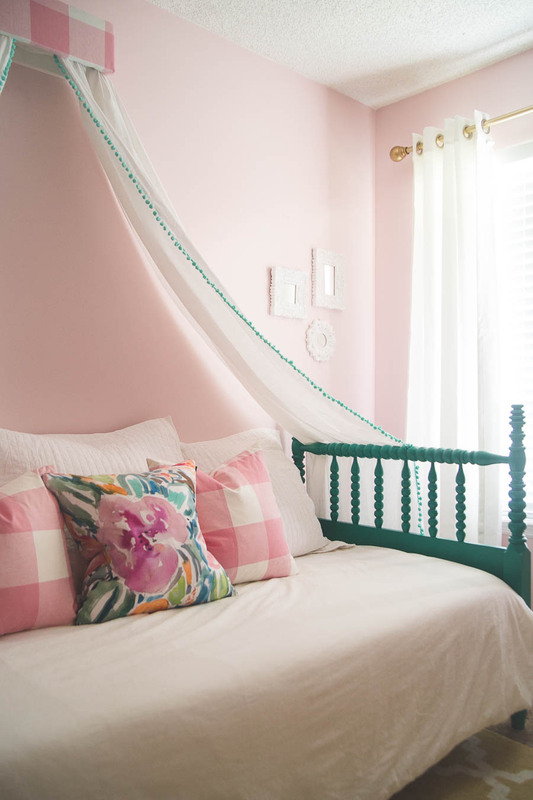 All of these are great ways to get pattern and color on the wall. The best part is when it’s time, it just peels right off. You know I love temporary wall treatments because I wrote a whole post about it. Some other apartment decorating ideas that will immediately change the look and feel of your space is to update the windows. Typically, rental homes don’t have the most desirable window treatments. You can cover those vertical blinds you despise by simply hanging curtains. They don’t have to be pricey. You can get a package of two panels white curtains from Ikea for less than $10. 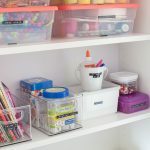 Even if white isn’t your color of choice you can easily spruce them up by painting them, adding a trim (like I did in Peighton’s room), or even sewing on a band of colorful fabric. You can bring color into your home without putting it on the walls. One of my favorites ways is by painting furniture. Painting furniture allows you to make a statement without permanent changes to the house. It also can be very inexpensive if you find a good piece second hand. 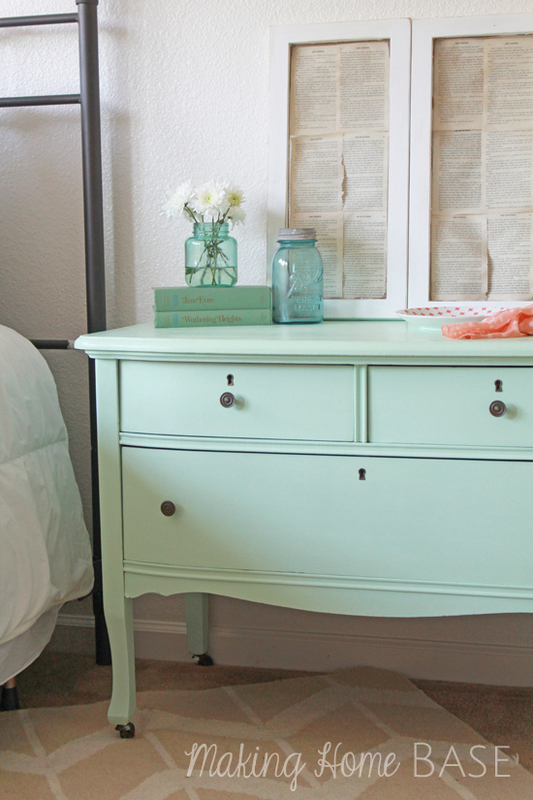 I painted an old dresser found for just $25 and turned it into a dreamy mint nightstand. You can hide awkward spaces easily by covering them with a curtain or a piece of fabric. It will hide the eyesore while adding a bit of color and texture. That’s not the only way to hide what you don’t like. I have an awkward cut out in the wall that connects the kitchen and living room. I covered it with an oversized chalkboard making a focal piece for my workspace. I’ve never lived in a rental that had enough storage space. 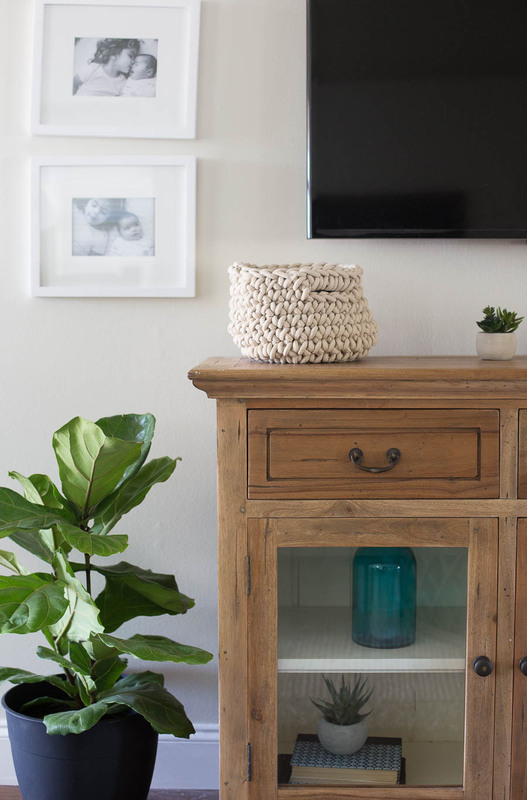 One of the most important apartment decorating ideas is getting creative with your storage solutions. 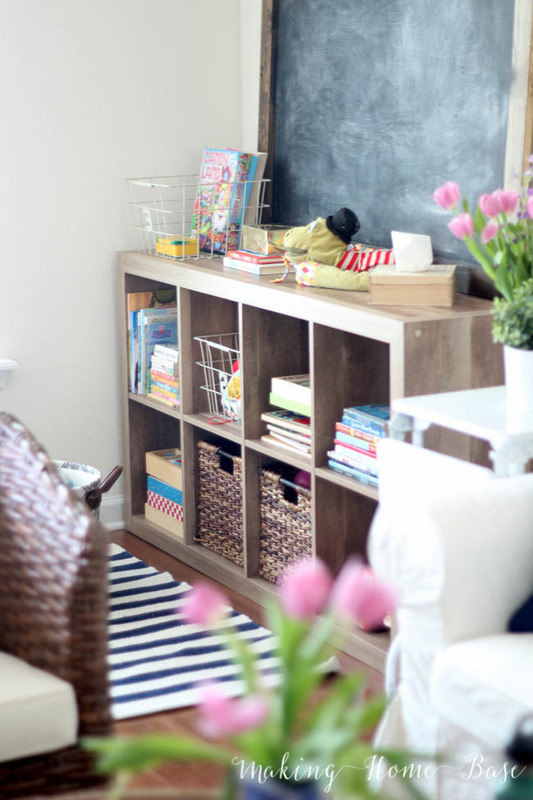 In the past, we’ve turned our coat closet into a pantry, turned a guest closet into a craft storage room, and created a dedicated toy storage space without cluttering up our living room. Consider vertical storage when possible like these shelves we utilized in a bathroom. We currently have a tiny pantry so I’m utilizing stackable storage containers to save space and organizing them with labels. If I could only have one accessory for the rest of my decorating life it would be rugs! Especially in base housing where the floors are less than desirable most of the time. They work to not only hide ugly floors but define a space. 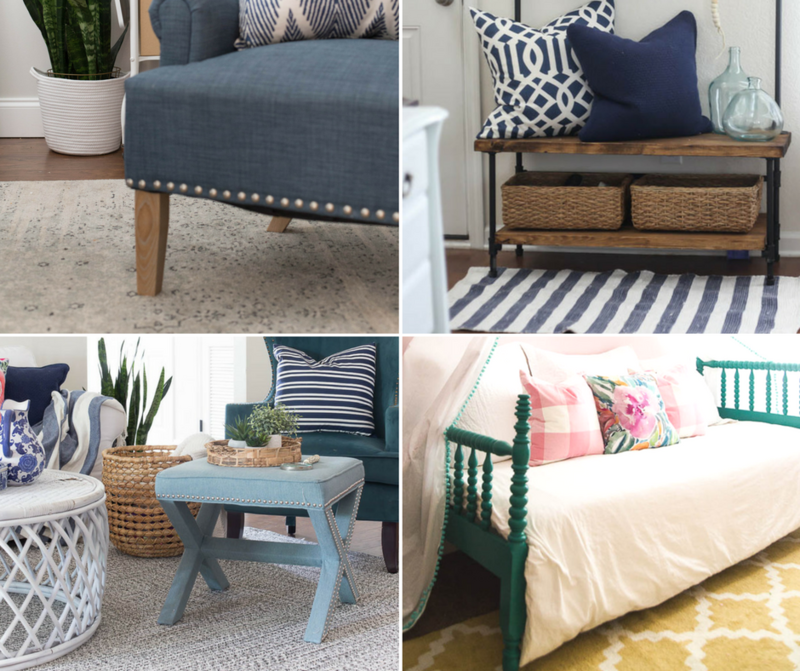 I rounded up some awesome and affordable rugs in this post. If you are going to be in a house for several years you don’t have to just live with the boring and outdated light fixtures. Changing the lighting is a small way to make a big impact. With permission, you can change out the fixtures. Can’t change the fixtures? Take heart, there are other options! 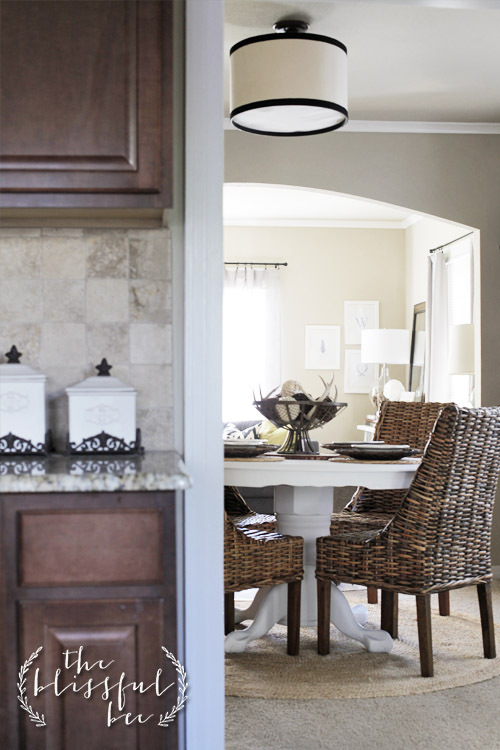 Check out how Amy created a drum pendant light cover up to go over her current light fixture. It’s easier than you would imagine! You can add table lamps and floor lamps for additional lighting as well. Don’t neglect the outside! There’s no question that having an outdoor space is worth every ounce of energy you use sprucing it up. 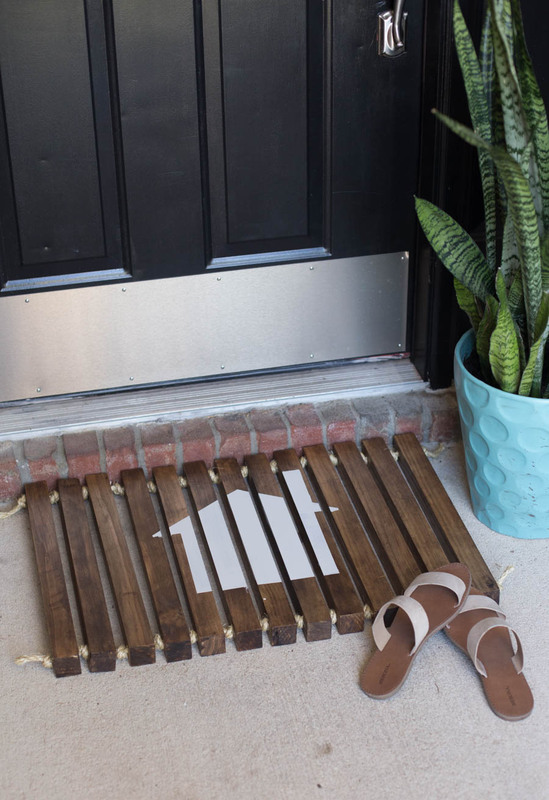 Having a welcoming porch, front entry, or front door. Cheer up your door with a wreath. You can easily DIY one. If you have a sizable outdoor space, make use of it – create a seating area to relax and enjoy. 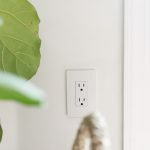 Small things that make a big impact whether you’re in a rental home, home for now, or forever home. You don’t have to spend a lot of money, or even a lot of time. 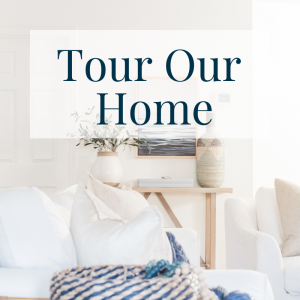 With a little effort and some creativity you can have a home full of character that represents your family; one where you will enjoy all the time you spend in it no matter how long or short that is. What are your best decorating tips for sprucing up a rental space? Congrats on your article! I’ll be sure to pick up a copy the next time I go shopping. Some days it does feel daunting decorating when you know you’ll be PCSing in just a few short years so I appreciate all your reminders of why it’s worth it to make your house feel like home. All the tips are great! 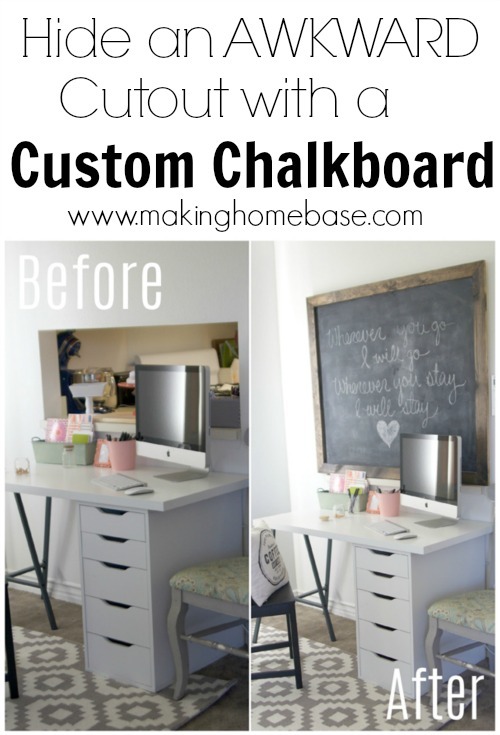 The chalkboard makes such a huge difference! I wonder what you used on the other side of the wall? Great tips! 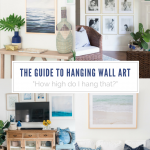 I’m a renter as well, and my favorite way to add personality to my home is to hang up personalized artwork and to use boldly colored curtains and accessories. 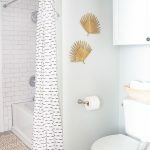 I actually do a weekly post on decorating ideas for renters (http://www.thehappychateau.com/search/label/Content%20to%20Rent%20Series) if you have a chance to pop by. Have a great rest of the week! My apartment is white and I haven’t bothered to paint it. The truth is, I like walls to be light colors that aren’t beige anyway. To add color, I made some nice curtains. I got the fabric from JoAnns, 1 cut at a time, so I could use 40% off coupons. I love the idea of rugs. I think my home could use more of those. I really like your big chalkboard to cover the hole in the wall. It really does look so much better. 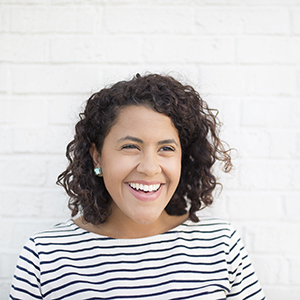 Great tips for renters or homeowners.